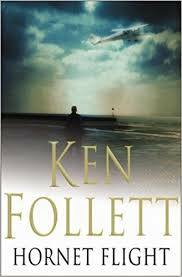 I’ve been a big fan of Ken Follett since I started watching The Pillars of the Earth on TV. I brought the book straight away and tried to race the series to the end to see what happened next. In no way are his books quick reads but somehow I manage to plow through the 800 or so pages in record time. 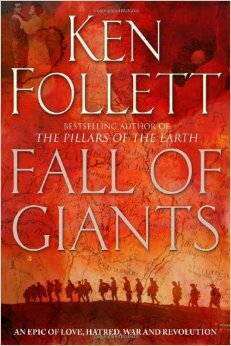 Fall of Giants is the first book in The Century Trilogy and all I could think about whilst reading was going online to buy the next 2 books. Sadly I’m on a self-imposed book buying ban due to the fact I have 4 rather unstable piles of books in my ‘to read’ pile which are in serious need of reduction. The trouble with getting addicted to a book is… there is always another page, another chapter and no matter how tired your eyes are or how late the hour on the clock that page is always enticing you to read it. Which means I managed to eat up the pages in around 4 weeks which was some going for me as I’ve been known to take longer reader a shorter book if it hasn’t grabbed my attention. 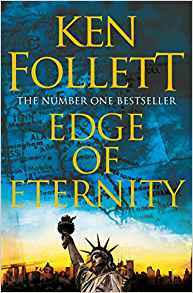 This book entwined the lives of a selection of characters from around the world, all leading up to, facing and dealing with the aftermath of the first world war. The characters are a mixture of fictional and historical and the events are either elaborated from fact or based around a reaction to a fact. But when you are reading it all feels like you are reading about actual people and actual events. 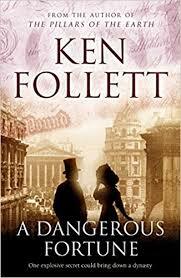 If you like historical novels or novels with lots of drama and rich characters then I would recommend Ken Follett’s work. But don’t blame me when you find yourself unable to put the book down with dark bags under your eyes from lack of sleep!